Rochelle Gibson want to makes sure that the manufactures of the prescription drug, Onglyza, a medication designed to help individuals with type 2 diabetes better control their insulin, admit that the drug led to her mother’s death, which is why she’s filed a lawsuit against, AstraZeneca, the company responsible for making and marketing the drug. She’s convinced that it hadn’t been for the drug, her mother would never have experienced the ultimately terminal bouts of heart failure. According to Rochelle, her mother began to take Onglyza in 2010. A year later, she had a heart attack. That time she survived the episode, but her heart was never the same after that and she needed to be hospitalized two more times after that before she passed away in October 2013. The grieving daughter would like her case to be heard by a jury. The settlement she’s requesting is $50,000 as well as legal costs and punitive damages. What the Gibsons didn’t know at the time was that two clinical trials had been conducted on Onglyza. In both those trials, test subjects were selected because they had a history of heart problems. The result of the trial indicated that more participants who were using the Onglyza needed to be hospitalized for heart related problems than the participants who were using the placebo. The FDA suspected there was a connection between Onglyza and potentially fatal heart failure. In April, 2015 they launched a 16,000 person study in which 27% of the individuals who used Onglyza had to be taken to the hospital for heart failure. 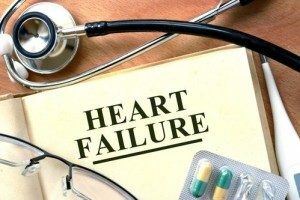 The FDA, and most of the medical community, feel that the number is high enough to force AstraZeneca to rewrite the warning label and make it very clear that it’s a drug that has led to an increased risk of heart failure. Heart failure is only one of the serious health problems Onglyza could possibly create. Additional studies have revealed that taking the drug can also increase the risk of developing pancreatic cancer, pancreatitis, and thyroid cancer. At one point, the FDA had looked into whether or not Onglyza did lead to an increased risk of cancer and used data provided by the European Medicines Agency and felt that there wasn’t cause for worry. However in 2014, newer studies reversed the FDA’s opinion and now the organization is warning people that the taking DPP-4 inhibitors increases the odds of developing pancreatic cancer. This news caused so many people to file Onglyza lawsuits that the courts were forced to send the cases to multidistrict litigation court in consolidated groups. Many anticipate the same thing happening now that it’s known that there’s a link between heart failure and Onglyza. If you have taken or are taking Onglyza and are worried about the drugs side effects and what they mean for your future health, the first thing you need to do is consult with your doctor and discuss various options. If evidence exists that the Onglyza did damage your health and you are seeking rxinjuryhelp, you need to meet with an experienced lawyer who will help you file your lawsuit and make sure you get the settlement you deserve.